We have years of history in our community. Our business practices have always focused on the customer first. The customers are our community. We have been blessed with our success and do not take that lightly. With this in mind we felt it important to give back to the community that has entrusted us with the repair of their vehicles. One of the best ways to do this was to partner with Akzonobel and participate in the A-Coat Benevolence program. For the past 7 years we have rallied with our vendors and insurance companies, volunteered our time and received support from other local residents to bring hope to deserving families in our community. 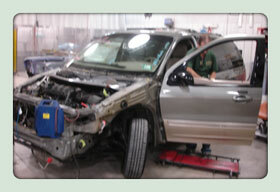 We take a car that was totaled and rebuild it to like new condition. 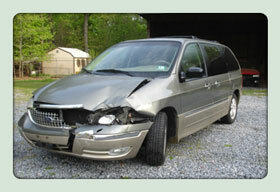 Vendors supplied parts and materials to make the proper repairs. Other people have donated money, allowing us to purchase needed components like tires and other parts. 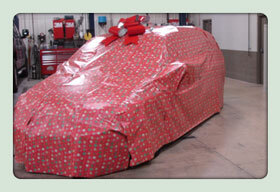 Then we celebrate the spirit of Christmas giving by presenting the car to a deserving family. 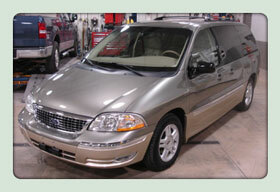 Cettei & Connell Insurance Agency has donated an insurance policy for this vehicle the past 6 years. Boggs Auto Collision Rebuilders are proud supporters of the Boys & Girls Clubs of Gloucester County, Inc.. The Benevolence Program is a community relations program that's mission is to generate good will at the local level while improving and promoting the image of the collision repair industry. The Benevolence Program achieves its mission by presenting refurbished cars to deserving individuals or organizations during the holiday season. Shops that participate in the Acoat selected National Benevolence Program work with their local charitable organizations to help them identify an individual or group that is in need of a vehicle. Shops can also work with a local insurance provider to secure coverage for the car for a pre-determined time. "Many collision centers have been participating in this program for the past eight years," says Rick Fifer, services development manager at Akzonobel. "The owners and employees of Boggs Auto are a good representation of the passion, enthusiasm, dedication and love that is expressed by the program."